Occupational asthma is an avoidable breathing disorder that is caused by triggers in the workplace. It causes inflammation of the lungs and eventual wheezing, coughing and shortness and breath. Occupational asthma can be scary if you are not aware of it. Does the thought of going to your job leave you breathless? Do you have a chronic cough that only appears at work? Do you wheeze when you smell certain chemicals? If you answered yes to any of these questions, then you may have this breathing problem. Don’t worry. It is reversible if you seek treatment early. But don’t wait because time is important. Even though different people are exposed to the same elements, some folks are more susceptible to breathing problems than others. Whether it is genetics or a stronger immune symptom, some workers will have an adverse reaction to allergens or chemicals in the working. This can lead to breathing problems or asthma symptoms. Over time the symptoms usually get worse as more chemicals or fumes are breathed in. The funny thing about asthma symptoms is that the more allergens that you are exposed to, the more your immune system will try to fight it. It is in your best interest to find the triggering agent and avoid it. Occupational asthma is a common lung disease but many people are not be aware of it. Because so many individuals have long work hours, they become sensitive to certain substances after long exposure to them. If you work at a chemical plant, office, store, hospital, medical facilities, or any place with chemicals, be aware about any breathing problems that happen on the job or later at home. If you notice improvement in breathing after leaving your job then you should look into simple asthma management tools that can improve your work environment, such as an air cleaner or allergy mask. If there is a chemical or smell that causes you grief, you should pay attention to it and get help. Asthma is a respiratory problem is that is greatly affected by the air that we breathe. The air quality of your work area can trigger an asthma attack if the area has poor ventilation. While you may not want to cause problems at your job, your health is very important. Safety should always be a major concern for your employer. There are certain federal and state guidelines that your employee must follow to ensure your safety. The good news is that you can improve your breathing condition. Once the triggering agent is removed, the symptoms may go away over time. With a proper diagnosis and treatment, you don’t have to suffer with this disease. But if you allow it to continue, then worsening symptoms and complications such as pneumonia can lead to hospitalization. It is actually a breathing condition set off by a substance inside the workplace. A trigger, which is a substance that brings about an asthma attack, can include chemicals, gases, or dust that is found at the workplace. The only way to find a trigger is pay attention when breathing problems occur. The symptoms are different for everyone and are based upon exposure. They include wheezing, coughing, shortness of breath, and tightness of the chest. With the help of your doctor, you can find what is causing the problem. A trigger, which is a substance that brings about an asthma attack, can include chemicals, gases, or dust that is found at the workplace. The only way to find a trigger is pay attention when breathing problems occur. With proper education, you can form an asthma action plan to manage this condition. 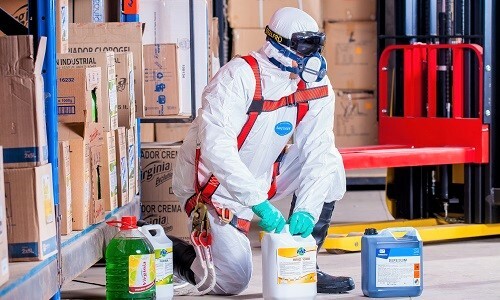 If you are able to move the offending chemicals from your workplace, then you will have to find a way to control your symptoms by removing or containing the triggering agents. Occupational asthma is a threat to anyone who works in a place with hazardous chemicals, fumes, or smoke. Breathing problems are common in places where air quality is not closely monitored. As the days and years go on, this poor working environment put many people at risk for health issues. Whether you know it or not, the substances that you breathe in on a daily basis can harm you. Even if you never had a history of asthma, the constant exposure to hazardous chemicals or smells can trigger an asthma attack. This type of breathing problem usually does not show its ugly side right away. Symptoms usually begin after prolonged exposure, but it can also happen immediately. The classic signs are breathing problems that mainly show at the workplace. Since the triggers are located at the workplace, the symptoms start at the beginning of the day or week and gets worse as time progresses. Another sign is that your breathing gets better once you leave and get fresh air into your lungs. The symptoms are caused by the irritation of the airways in the lungs. This leads to swelling of the bronchial tubes and narrowing of the airways. The end result is an increased production of mucous, wheezing, and shortness of breath. 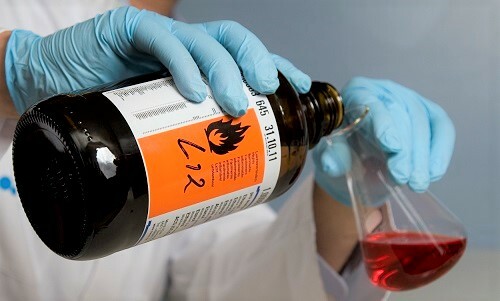 Most substances at work are not dangerous and will not cause you any harm. But over time, your symptoms will become worse if you continue to be exposed to the offending agent. The lining of the lungs are delicate and can become permanently damaged. This is associated with a serious lung disease called COPD or chronic obstructive pulmonary disease. When an individual becomes sensitized, even incredibly smaller quantities of the offending agent can cause damage. Asthma becomes dangerous when your breathing is compromised. The lungs can become damaged from prolonged exposure. You should seek immediate medical help if you feel tightness of the chest, change in skin color, or having to stop talking to catch a breath. This is an emergency situation and require immediate medical care. You don’t have to seek your physician at the doctor’s office. The next step is to get to the emergency room as soon as possible. Your lungs are under attack and need medication to get relief. The good thing about occupational asthma is that it is reversible. This type of asthma cannot be cured, but it can be controlled by medication. If you seek treatment early, the symptoms can be managed. Even if you cannot change your job, you can deal with the triggering agent to that it does not harm. With the right asthma action plan, you can take medications or natural remedies to ease your symptoms. You should be careful when it comes to asthma. Symptoms always get worse with more with more exposure. Your lungs are delicate and can be permanently damaged if symptoms are left untreated. The longer that you interact with any trigger chemical or smell, the more likely that you will have complications or go to the emergency room. So if you work long hours, you will be more adversely affected by the work environment. 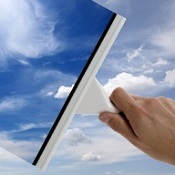 It is the responsibility of your employer to maintain a work area that has clean air and proper ventilation. Occupational asthma does not happen to everyone. Certain people seem to be more vulnerable to the substances that are part of the workplace. If you have any breathing problems while you are on duty then this might be an issue. Asthma usually involves wheezing, coughing, and shortness of breath. They come from lungs that are irritated by chemicals, smells, or fumes found at work. You are more susceptible to have asthma if it runs in your family. And if you will increase your risk if you come in contact with allergens. Many individuals will develop asthma attacks if they work with certain substances. Some ingredients are known to be irritating to the lungs and cause asthma attacks. Occupational asthma has no definite symptom that shows in every person who suffers from it. With each work environment, there are several reactions that a person can have. For example, someone working on a farm will probably not have the exact same symptoms as one who handles chemicals in a laboratory. Symptoms depend on the trigger agent, the exposure time, family history and medical condition. The health and lifestyle of an individual will determine how the symptoms will progress. If you should develop this type of breathing problem, then any trigger in the workplace will become your enemy. Even if you contain it, you can still have a reaction to a small amount. Your immune system remembers the agent and perceives it as a threat. The best solution is to avoid or remove it if possible. If you cannot remove it, you will need medication to keep the symptoms away. As part of your treatment you should have an asthma action plan to prevent, monitor and treat potential symptoms. While the exact causes of asthma are difficult to isolate, each asthma sufferer has a unique set of triggers. What may cause an attack in one person may prove harmless in another. Asthma can be controlled with the avoidance of triggers and by taking any medications that you are prescribed. The good news is that when this issue is diagnosed and handled early, it can be managed. The bad news is that prolonged exposure to triggers can cause additional complications and lifetime asthma. But you have the choice of a healthier lifestyle. Occupational asthma is a problem for many people who work with substances such as toxic chemicals, fumes, or smoke. The symptoms include wheezing, coughing and shortness of breath. Even if it may seem minor in the beginning, it can cause a lot of problems in the later years. If your breathing deteriorates while you are at work and improves when you leave, you might have it. You will have to see a doctor to be sure and get a proper diagnosis. With that, you can get the right treatment and maintain your health. The diagnosis of this type of condition is very tricky one. There is no clear test or procedure that will define the condition. Your doctor will base it upon medical history, physical assessment, and questions about your workplace environment. Your physician use a peak flow meter, pulmonary function test, and allergy test to evaluate the condition of your lungs. A pulmonary function test can determine if your lungs are damaged. An allergy test will verify if there are any potential triggers at your job. With a proper diagnosis, you can get the right treatment to combat symptoms. If you have the disease you will know the importance of carrying an inhaler to revive constricted lung airways. There are also a number of different medications that can be taken as part of an asthma action plan. Plus you will find that there are some allergy medications that can help you to have fewer breathing issues as well. Your doctor will prescribe medication to manage the asthma symptoms. Preventive, long-term control medications help to reduce the inflammation of the lining of the lungs. This will decrease the chance of an asthma attack. Quick-relief (rescue) medications work quickly to decrease swelling and immediately stop symptoms. While you are at work and home, you should monitor your symptoms. This will include using a peak flow meter and a journal to record symptoms. Peak flow meters are simple, easy to use devices that measure lung function. Every day you can use your peak flow meter to measure the amount of air getting in and out of your lungs. By recording these results you can collect the data to see how your lungs are doing at home and work. Severe asthma attacks can be life-threatening. In other words, you can die from a really bad asthma attack. An asthma action plan can help you to avoid trouble. 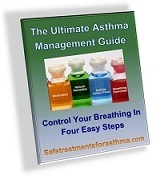 It is an outline to show you how to prevent asthma attacks at work and at home. 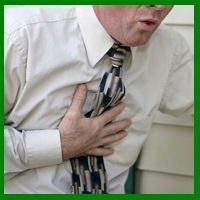 Seek immediate medical help if you have worsening shortness of breath or wheezing. Also, go to the emergency room if there is no improvement in breathing even after using medication. Asthma cannot be cured but it can be managed. Once you visit your doctor, occupational asthma is diagnosed by a thorough medical history and physical exam. The main concern will be finding out what substances are causing your symptoms and avoiding them. With an asthma action plan, you can have fewer symptoms. With prevention and the right treatment plan, you don’t have to be afraid of your workplace. Whether you work in a chemical lab or auto factory, you should be concerned about the air that you breathe. 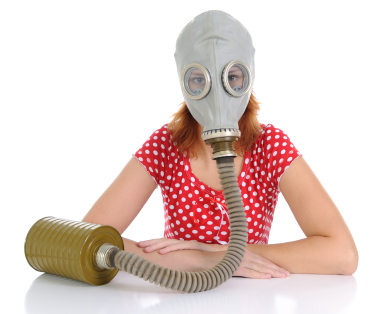 Any toxins at your job can affect you negatively now and in the future. The truth is that the more you are exposed to the triggering agent, the more problems that you will have. 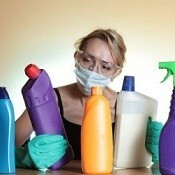 If you suspect that certain substances are making you sick, then you should try to decrease exposure. Even a small amount of the triggering agent can give you a lot of grief. If it is possible, you should move to a different location in the office, laboratory, factory, etc. Location has a great impact on air quality. A seat next to an air conditioner can provide some relief. If this is not possible, then a change in duty or place of employment may be necessary. 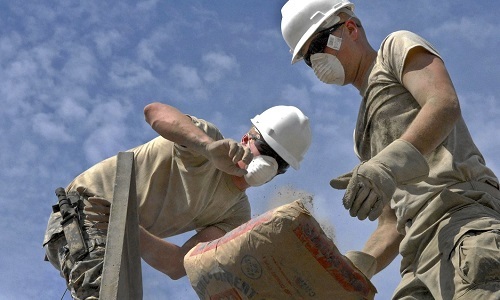 Occupational asthma can get worse with exposure to certain chemicals or fumes. In many workplaces that deal with chemical, the air quality is questionable. 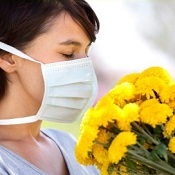 If you feel that your health may be compromised then you can also use protective gear, such as masks and respirators. These will filter out most agents and allow you to breathe freely. While it seems like a small step, it can lead to huge improvement in your health. This breathing problem is preventable if it is diagnosed early. By taking a careful medical and work history, your physician may determine what is triggering your symptoms. He or she can create an asthma action plan that is customized for you and your environment. With the help of your doctor, you can create a plan to prevent and treat symptoms. There are short-term medications that can immediately stop symptoms such as wheezing and shortness of breath. And there are other types of long-term medication that prevent symptoms by decreasing the inflammation of the lungs. 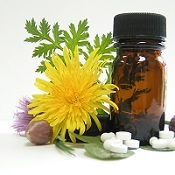 Besides medication, several natural remedies can ease your breathing at work. Even if you have to work with hazardous materials, you have a legal right to have protection. 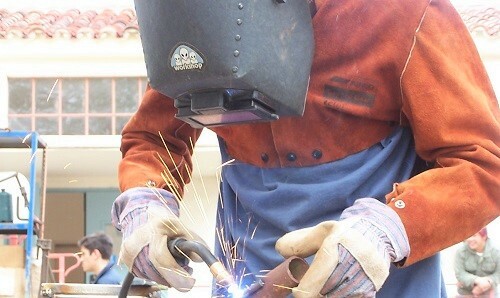 Under federal and state guidelines, your employer must provide the proper equipment to protect your health and safety. There is no need for you to leave in fear. 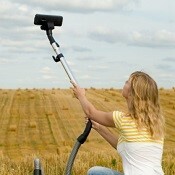 You cannot be disciplined for noticing poor working conditions. Occupation Safety and Health Administration (OSHA) has established regulations to protect workers by maintaining a safe and clean working environment. If you feel that there is a violation, mention it to your manager or supervisor. If it is not addressed, then contact OSHA to help remove the violation. The best treatment is avoiding the substance that causes the symptoms. It is crucial that occupational asthma is diagnosed early. Most sufferers with occupational asthma will get worse if they remain in the same conditions. It is important to monitor symptoms and remove hazardous substances in the environment as soon as indicators. This will avoid complications from occupational asthma.